Twice each year, church planters and movement leaders gather in Salt Lake City to encourage one another, pray, share information and discern God’s leading in Utah. 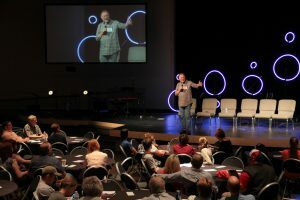 The event is a bit different each time, but may involve a main presentation, breakout seminars, networking opportunities, worship, and prayer. The Faith After Mormonism Conference is an annual event with the purpose of providing hope and wisdom for people leaving Mormonism to explore a new faith home in historic, biblical Christianity. Through speakers, workshops, and individual interactions, you will receive helpful resources and meet others on a similar journey.